It’s officially debate season! House and Senate candidates across the country are taking the debate stage, looking into television camera lenses, and telling voters what exactly it is they will do in office. Given the sheer number of closely-watched races, let alone the number of debates for each race, AR Intel compiled a list of debates in some of the most critical races this fall. Take a look below of October’s “Must See TV” debates, and let us know in the comments section if we missed one important to you! 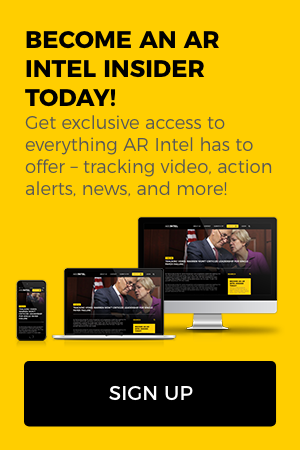 To view the AR Intel debate look ahead, sign up for a free 7-day trial of AR Intel today! As the returns roll in Tuesday night, be sure to stay up to date on the latest news from the primaries in Georgia, Kentucky, and Arkansas, and the runoff election in Texas! AR Intel has you covered with lists of key reporters and politicos from this week’s primary states. Want to see the list? Become an AR Intel Insider today! Primary voters in Kentucky, Arkansas, and Georgia are heading to the polls, and Texans are participating in a runoff election on Tuesday. Nearly every media outlet published a “what to watch for” story, and AR Intel culled the best excerpts from each. Get caught up on Texas’s 7th Congressional District Democrat runoff, the Georgia governor’s race, and much more by becoming an AR Intel Insider. Click here for details.